We traveled this time to Group K of the UEFA Europa League by many known as a sort of second division high-flying European football but increasingly valued by the clubs in general, not only because of the prestige and possibility that gives the winner a presence in the next edition of the Champions League, but mainly because of the monetary prizes involved, according to the teams’ performance. On the one hand we will have Astana, four times title captain in Kazakhstan and in a good position to revalidate the position of hegemony in the country’s football this season, as the five-day end of the championship lead with 67 points, 7 more than the runner-up. The moment of form is good, the team has officially competed sequentially since February, the last defeats happened in August, two of them in the Champions League qualifying round ahead of Dinamo Zagreb and another in the first leg of one of the Europa League group stage access rounds with APOEL, their opponents in the second leg at home. To regain a defeat at Astana, they need to back down until May 23, when they lost 3-0 at Akzhayik to the championship. In this Europa League, Astana intends to move forward and achieved a good result in both practical and emotional terms on Matchday 1. Ukraine started a 2-2 draw with Dynamo Kiev in a divided and balanced match, where Astana was losing on two occasions and managed to restore equality, the last time already to establish the final result, with goal at 90 + 5 ‘. They are currently in a winning sequence of three matches, where the victims were Akzhayik (2-1), Atyrau (1-0) and Zhetysu (3-0). The last meeting took place last Sunday, at home, against the fourth ranked Kazakh Premier League. Rennes have become a good second-tier team in France, they showed last season and intends to follow up this year with the ability to compete frequently for qualifying for European competitions, although it is naturally very far from the goal of dethroning PSG as owner and master of Ligue 1. 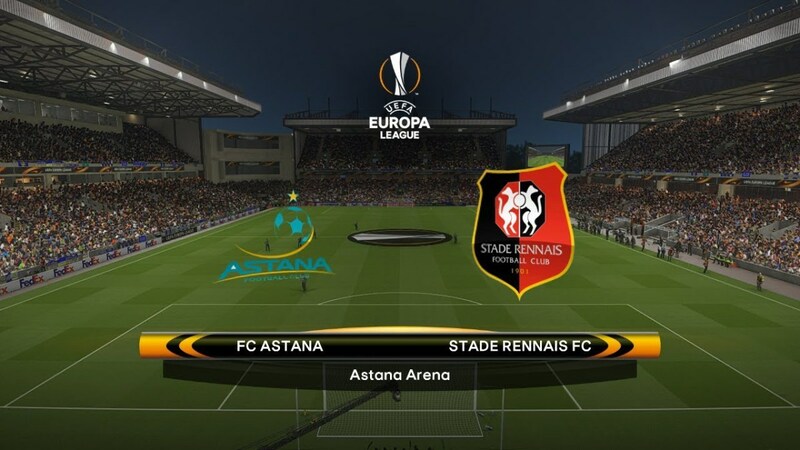 Back to the Europa League seven years after the last presence, internally the thing has not gone well in this beginning of championship, since Rennes occupies the 16th place with only 8 points collected in other so many games realized, where already they scored 10 goals, although they suffered 13. After an auspicious entry into the new season, where the French side managed to score 7 points in the first four rounds of the Championnat, Rennes are following in a series of four other rounds without any success, having taken advantage of a fresh start on Matchday K of Group K, where they beat the Czechs Jablonec 2-1 at home in a meeting where Rennes won the three points with justice, although he struggled so hard that the only goal came in the second half and penalty, converted by Hatem Ben Arfa. Following their European debut, Rennes lost 3-1 to PSG in their 2-1 friendly trip to Amiens, having returned to lose points in a game where only the victory interested, last Sunday, at home, in front of Toulouse, in a game where the team of Sabri Lamouchi acted in numerical superiority for more than 45 minutes, surpassed the opponent, advanced in the marker, but ended up letting tie even near the final minutes. I expect a game played with some quality and interesting levels of intensity. I believe that the team will discuss the qualification until very close to the end of the group stage, if they can not even passport to the next phase of the competition. The replica given in Ukraine was great, in moody terms the formation of Roman Grigorchuk is far better than the Rennes who is not set to settle for the draw, although it is not a bad result out of doors after the triumphal entry with the Jablonec. I do not believe that Lamouchi put all the meat on the rotisserie in this game, the match with Toulouse last weekend may have left marks and it is necessary to make the physical management of the squad, even because there is a very important confrontation for the championship next Sunday, in the field of Monaco. In this way, I see with good eyes the possibility of Astana achieving a good result in his stadium, it will still be difficult to finish the game with the inviolate goal, since this Rennes has quality in its offensive process, it marks goals with relative ease and even with some of its second lines it has quality to discuss the game and to make the taste with the foot. Adding all the factors that I mentioned, I believe it is a good game to explore the market of both teams to score, to odds close to the pair is a good solution in my opinion. Astana avoiding defeat in a game with at least two goals.